I haven’t been taking many pics of our beloved cat lately. Not sure why. Her cuteness is unceasing. 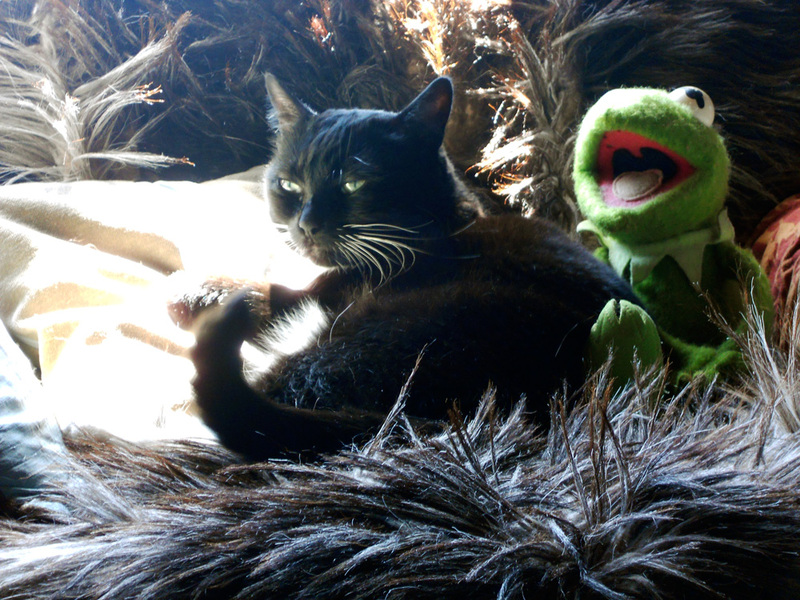 The other day she cuddled up with Kermit and I just had to take this.